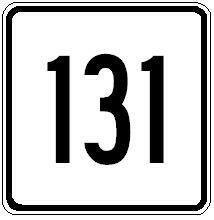 Massachusetts State Route 131 is a north-south highway in Southwestern Worcester County. It runs from the Massachusetts/Connecticut State Line, near Dudley, to U.S. Rt. 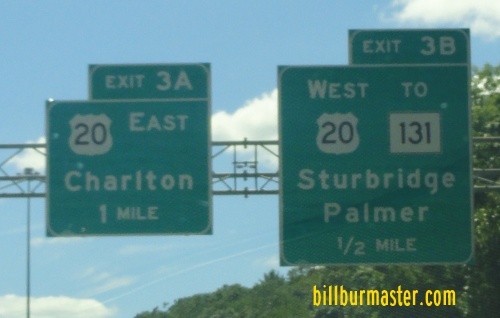 20, near Sturbridge. MA St Rt 131 passes through the following towns in Worcester County. MA St Rt 131 is multi-plexed in Worcester County. 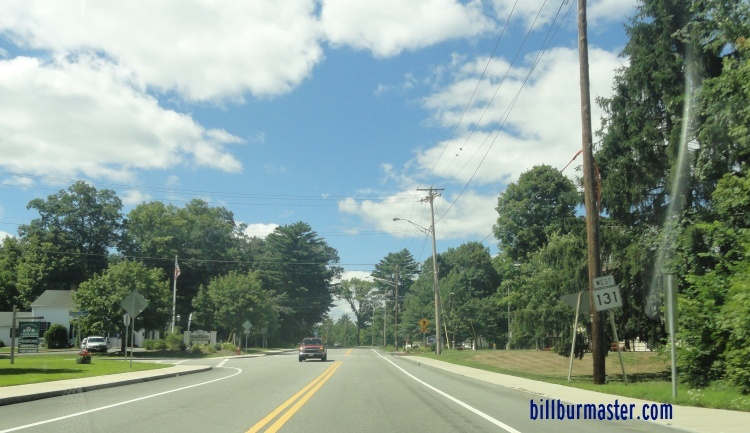 Massachusetts State Route 169, from near Sandersdale to Southbridge. MA St Rt 131 crosses the following highways in Worcester County. Massachusetts State Route 169, at Sandersdale. Massachusetts State Route 169, at Southbridge. 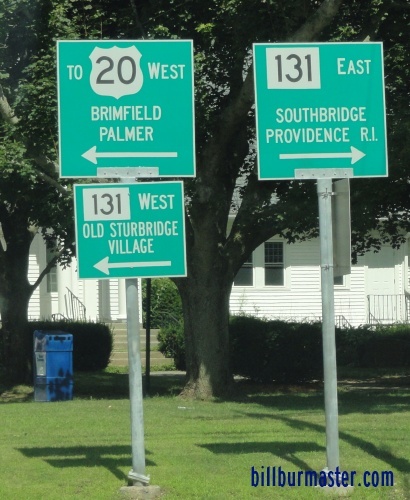 Massachusetts State Route 198, at Southbridge. U.S. Rt. 20, at Surbridge. A BGS on SB I-84. A set of guide markers in Sturbridge. 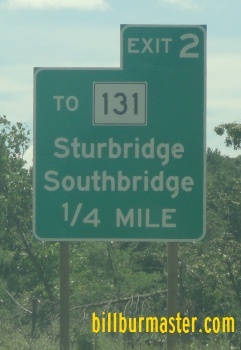 NB MA St Rt 131 in Sturbridge.